Finding father’s day gifts can be a real endeavor, especially if his birthday is around the same time of year. You always want to show the dad in your life what he means to you, but finding a gift that is just right can take research, time and, of course, money. Here are six things to consider when finding just the right father’s day gift. The first thing you should consider is how much you want to spend on a gift this year. There’s no reason to break the bank for a holiday. After all, most dads really just want to know you’re thinking of them. If you want to stay at the lower end of the spectrum, a few small items and snacks nicely packaged a be a very thoughtful, inexpensive option. Depending on your relationship with your dad, you need to decide whether you want to go with a gift that is great for a laugh, something that your dad really needs, or something in between. If you do decide to go the practical route, try to be a little more imaginative than the traditional socks and jocks! Yes, he won’t ever think of buying them for himself, but you can certainly get more creative than that. As for joke gifts, while they may be amusing, the novelty can be very short lived. To combat this, try to find something that could potentially be a conversation starter or fun reminder if it is on display around the house. Trendy gifts can be risky because, by their nature, they can quickly go out of style. Plus, you need to make sure it is something your father would actually be interested in. 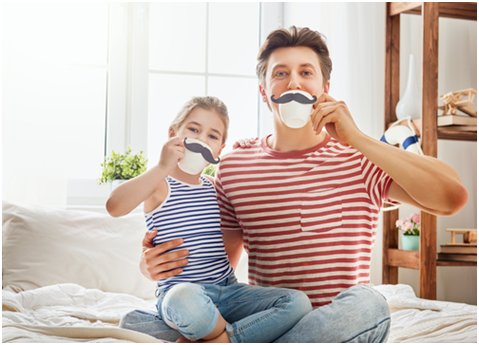 You are much better off trying to find something that reminds you of your dad, even if every store does stock those cute mustache mugs! Maybe you want to do something a little different this year. Instead of getting him a tangible gift, you could potentially give him a fantastic experience instead! This can be as simple as a family meal and outing, or as complicated as flying in all your siblings for a surprise get-together! Has your dad always wanted to do something that is a little crazy? Not only will this be a fantastic surprise on the day, it will be something he never forgets. Something like a joy flight in a stunt plane or a balloon ride, maybe there is a classic car he has always wanted to drive? You can get as creative as you like with this one, as every dad is going to have a different perfect experience. Just remember, while you may want to go all-out when thanking a parent for all they’ve done for you, it doesn’t have to be overly expensive. There are a wide array of potential fun experiences to choose from that won’t leave you scrounging for food money at the end of them. If you are too young, too broke, or don’t buy into the capitalist holidays, just show him you care! Go over to his place early and do breakfast in bed, maybe set him up with coffee and a good movie or put on the game and wash his car or sort out the garden! As long as you make an effort your dad will love what you do no matter what!